We at AfricanaQ admire Eliud Kipchoge, the most decorated marathoner on the planet. Eliud Kipchoge was born on November 5, 1984 in Kapsisiywa, in the west of Kenya. Already at the age of eighteen he became world champion at the 5,000 meters. 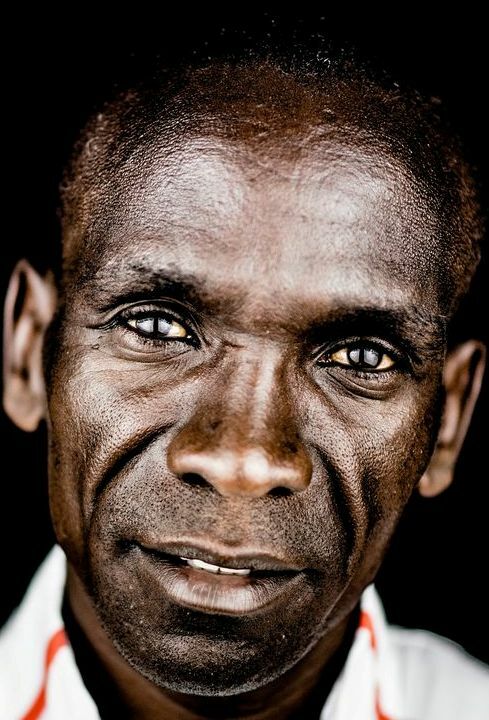 On Sep, 16, in Berlin, Eliud achieved a personal best and obliterated the previous world record – He finished in 2:01:39, breaking the world record by 78 seconds, the largest recorded margin in more than 50 years. Kipchoge lives with his wife and three children in Eldoret, Kenya, at over 2,000 meters above sea level. He trains in a nearby camp in Kaptagat. He is known as the Philosopher king – that is because in interviews he regularly quotes thinkers such as Aristotle, Socrates and Confucius. His most audacious challenge – took place in 2017, on a racecar track in Italy, where he attempted to run a marathon in less than 2hours. This was as part of a project organized by Nike called “Breaking 2”. He averaged 4:36 per mile – but he couldn’t break the two hour barrier – he missed it by a mere 25 seconds – His time was 2:00:25. 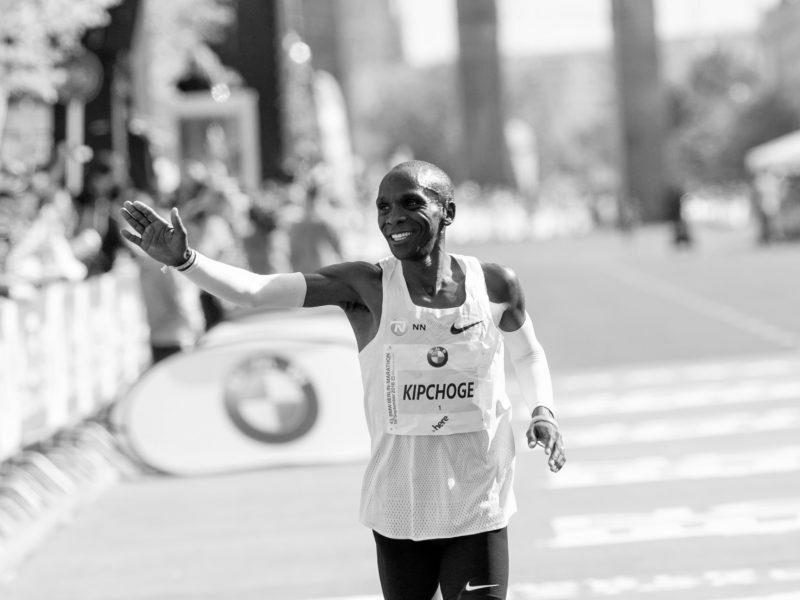 Ladies and Gentlemen of AfricanaQ – please join us in celebrating Eliud Kipchoge.